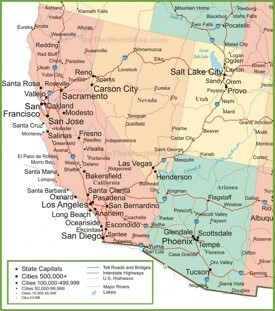 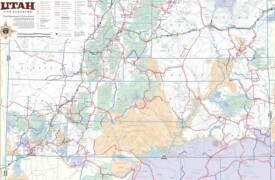 Area: 84,899 sq mi (219,887 sq km). 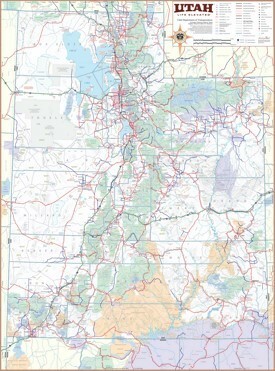 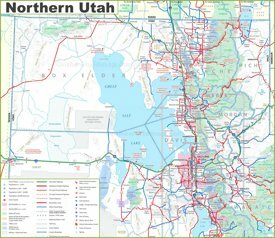 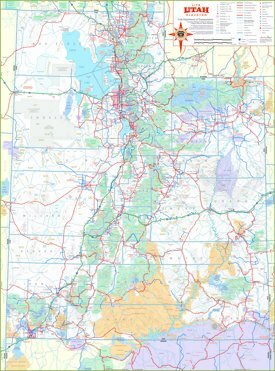 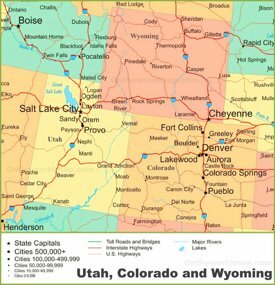 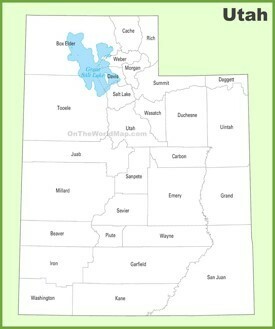 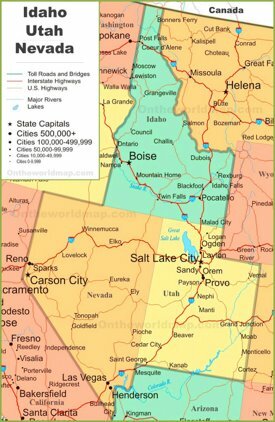 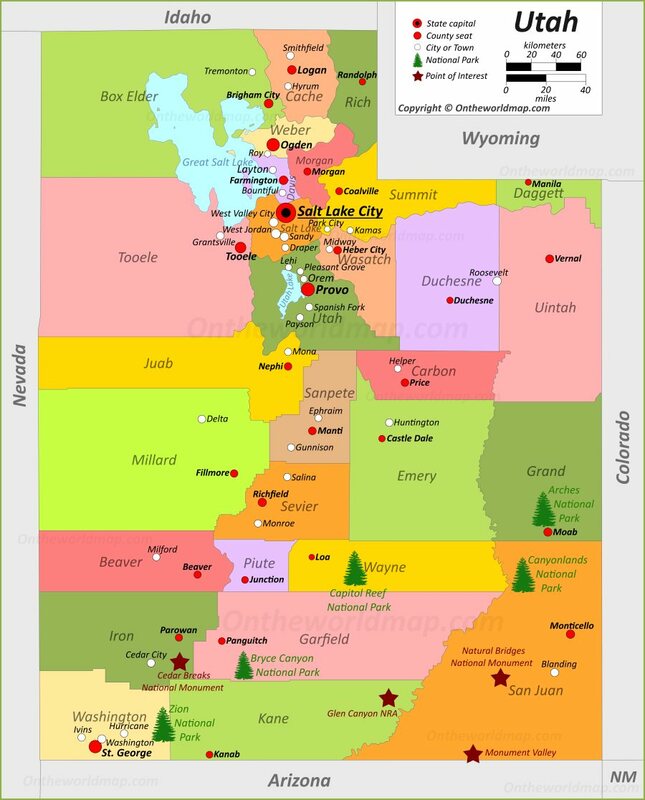 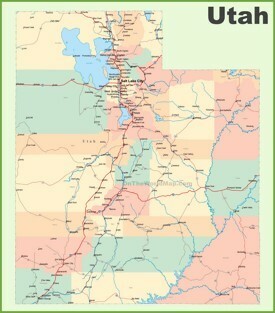 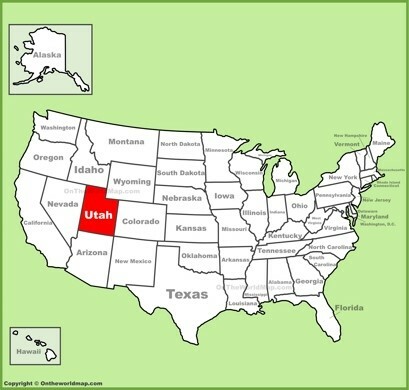 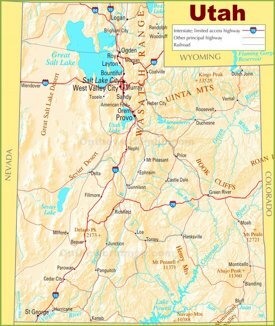 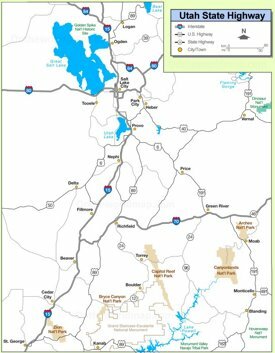 Largest cities: Salt Lake City, West Valley City, Provo, West Jordan, Orem, Sandy, Ogden, St. George, Moab, Layton, Taylorsville, South Jordan, Logan, Lehi, Murray, Bountiful, Draper, Riverton, Roy, Springville, Cedar City, Spanish Fork, Pleasant Grove, Cottonwood Heights, Tooele, Midvale, Kaysville, Holladay, South Salt Lake, Herriman, Eagle Mountain, American Fork, Clearfield, Syracuse, Clinton. 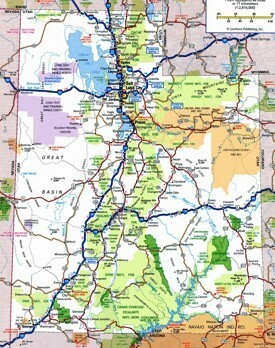 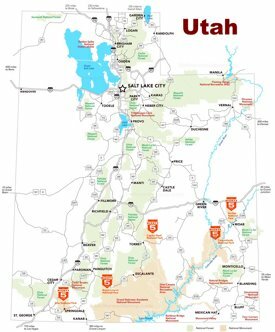 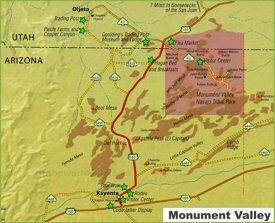 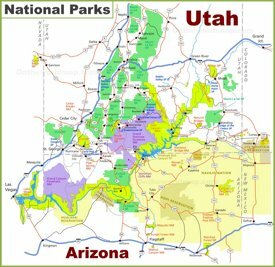 National parks: Arches, Bryce Canyon, Canyonlands, Zion, Capitol Reef.